I know what your thinking; Really? Perfect popcorn? 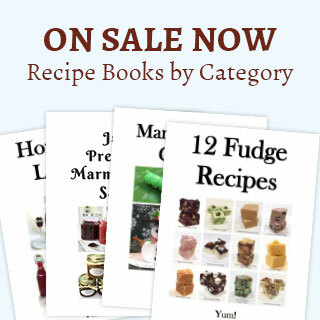 The truth is I’ve been asked to post this method/recipe. Why?, many laugh at what I do because they find it so easy with hardly any hands-on required. Then there is the matter of my absence of late from the web. I have no excuses. It’s about being overwhelmed by all that has recently been going on. I’ll leave it at that. My perfect popcorn, Netflix and I have become great friends and a big part of a much-needed escape. So, for the ones who asked for it, here is my method for making perfect popcorn my way. Pour the oil in the bottom of the stockpot. Place 3 or 4 popcorn kernels into the oil. Place the lid on top leaving it just a bit ajar. Turn the heat to a tad over medium high. When the few kernels have popped, add the remaining ½ cup of popcorn. 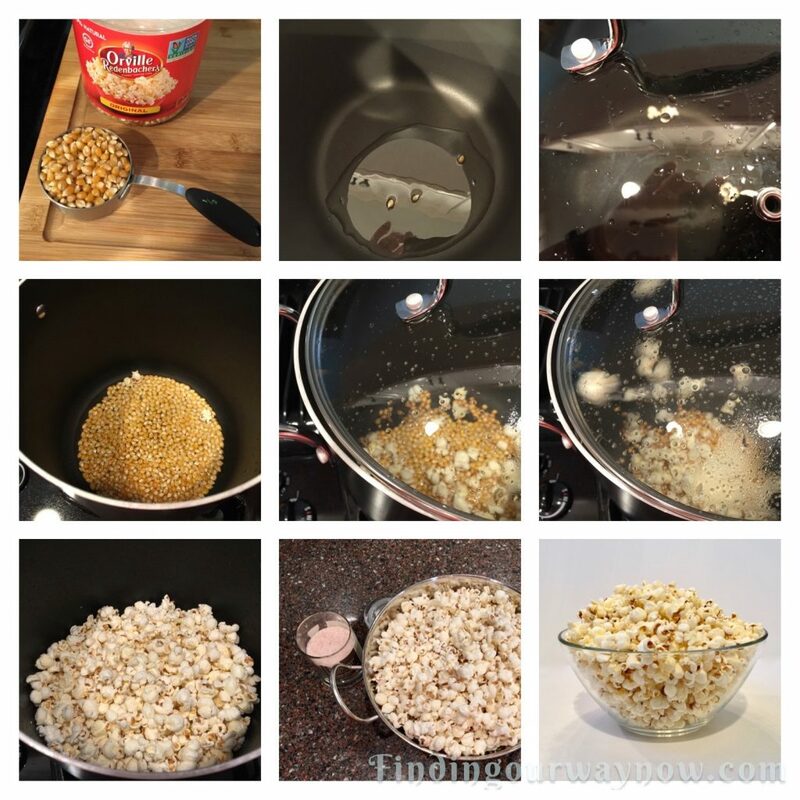 Shake the pan to distribute the popcorn kernels evenly in the bottom. Place the lid on top. Again, make sure the lid is slightly ajar to allow steam to escape. Leaving the lid ajar will allow the popcorn to maintain a lovely dry crispy texture we love so much. The popcorn will begin to pop vigorously. Listen for the popping to slow. When you hear a pause in the popping, remove the pan from the heat. Shake the pan a bit, sprinkle the salt over the popcorn and shake a bit more to distribute. Now pour the popcorn into a large bowl or serving vessels of your choice. Enjoy. Notes: I find this technique with the tools and popcorn I use, ensures nearly all of the kernels pop, and nothing burns. There is no need to shake the pot while it’s popping; just walk away and leave it be. It’s critical to leave the lid a bit ajar to allow the steam to escape. You may need to play with your heat a bit to find your sweet spot; every stove is different. You can use any variety of salt you like; I just happen to love the flavor Himalayan salt imparts. This may seem obvious but make sure the inside of the pot is completely dry before heating the oil, or else it will create more steam, the oil will sputter and potentially make the popcorn less crispy. 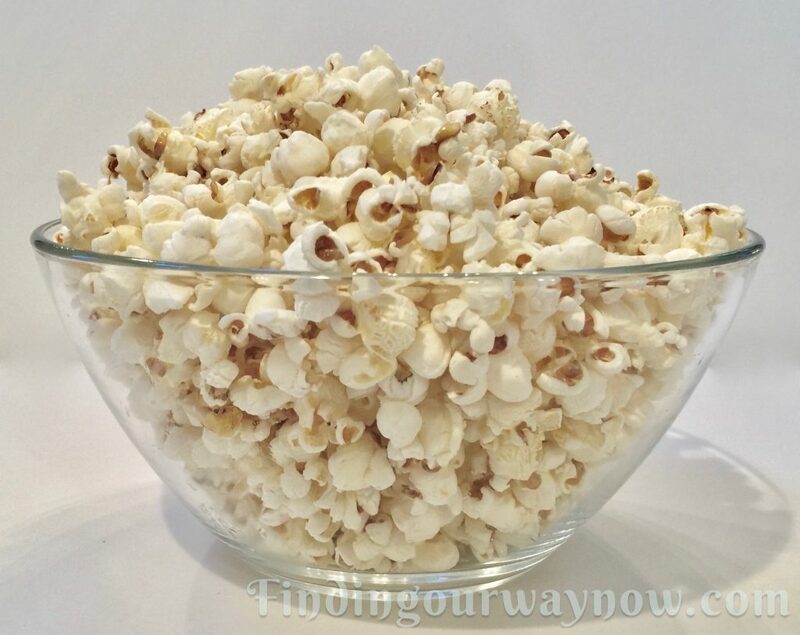 If you’re adding butter, have the melted butter ready and lightly drizzle the melted butter over the warm popcorn then toss to distribute it evenly. Yep, that’s my perfect popcorn, and it’s a goof-proof method. Now that I have a beautiful bowl of popcorn, I’m off to watch a new Netflix series we just discovered. Happy popping.